There’s a lot at stake when it comes to IT management. Everything including security practices, business continuity, disaster recovery, and maintaining a mobile workforce needs to be considered. IT operations are the backbone of most businesses, many requiring the assistance of colocation providers. Colocation (Co-lo) is a way IT equipment and resources are located or installed. It refers to the networking hardware resources placed outside a company’s premises and “co-located” with another organization’s hardware. The colocation facilities are usually employed by ISP or service providers to store equipment that they and their clients use. These facilities provide storage, power, cooling, and security for equipment. Many companies opt to colocate their specialized hardware resources because they’re unable to provide a suitable location and maintenance for them within their premises. While service providers already have appropriate facilities due to the nature of their business, it’s cheaper to share it with them. Why do organizations consider colocation? Colocation is a high performance, more secure and interconnected data center solution. 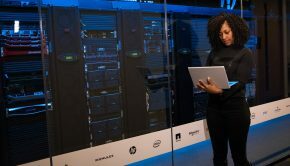 Strategically located and maintainable, colocation facilities allow seamless power, multi-cloud flexibility, and facilitates scalable infrastructure. Alongside a broad portfolio of cloud and network services, a company can push its IT strategy to new heights. 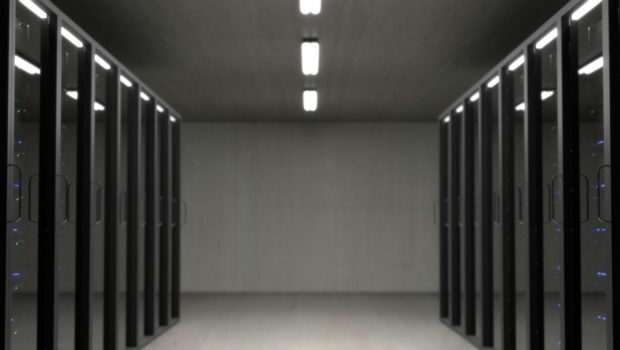 Colocation is an advantage for companies to save on expenses associated with building and maintaining their own data centers. 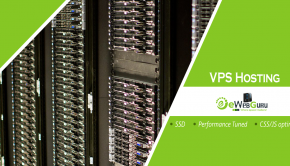 Organizations can rent server space as well as equipment and hardware in a colocation facility. Not all colocation providers are created equal, so you’ll need to ask the right questions before signing a contract. Make sure it satisfies all your business needs and requirements. How close is the provider’s facility to the company’s office? If it’s within driving distance, your company’s IT staff can get to the building quickly. And if you have several offices at various locations, you might want to consider a facility in a less expensive real-estate area. A geographically diverse provider will be able to provide facilities in other cities or abroad depending upon your business needs. 2. What are the fiber specifics? Does the provider have fiber connecting buildings or POPs? Even if your bandwidth requirements are nominal now, you should inquire what the total fiber capacity is. As the business grows, your traffic throughput requirements could exponentially increase. 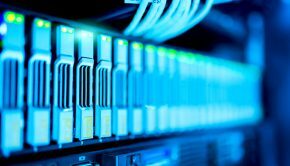 If the provider has 50 Gbits of connectivity capacity but is already close to the maximum limit, you should ask about strategies for future growth. And though they may have a positive approach to this aspect, you need to know how this will impact your service since upgrades generally bring service interruptions. Discuss whether your company will be using the provider’s bandwidth directly or will it be connecting to transit carriers? 3. What are the security measures? Depending upon the type of data that you are dealing with, you will need appropriate security measures for the colocation equipment. For example, if there is a classified company or financial documents, you may require physical security alongside other measures. The level varies from escorted/unescorted access to the facility, security cameras around the clock for every part of the facility, security guard at the entrance, support teams on different floors, identity verification with special keys or biometrics, etc. Ask the potential provider what procedures need to followed when entering the facility and what’s the protocol if there is a security breach. 4. How will the supply of power be managed? You need to understand the power infrastructure, especially if your organization is hosting mission specific services. Generally, power issues are a major concern everywhere. 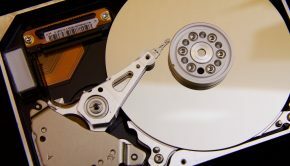 If the colocation provider doesn’t have a suitable backup plan, you could be facing data corruption, loss due to downtime, or reduced productivity because of staff-hours allocated to data recovery procedures. Which “N scheme” of power redundancy do they have? Even when some claim redundancy like N+1, you should demand the specifics. They should have a UPS (Uninterruptible Power Supply) as well as a failover plan in case a different piece of equipment fails. 5. What is the physical infrastructure? How scalable is the facility? There should be adequate space to grow. You will need to discuss the requirements of your business with the potential provider. You should also have information about the size of the cabinets and how much equipment they can hold. Depending on whether or not the equipment is mission-critical, you will need to consider how to develop the infrastructure and what precautionary measures are essential. For instance, some companies demand fire suppression systems and raised flooring or concrete slabs. 6. Are there threats of physical natural disasters in the area? For a server colocation in Seattle area, earthquakes and flooding could become potential problems. Inquire if there have been previous occurrences of damage to a facility. Ask about earthquake retrofitting in the building and whether cabinets are bolted. More importantly, what are the recovery procedures? If there are power outages, how will the facility be sustained and what are the generator refueling procedures? They should have a detailed plan that attempts to provide for all possible contingencies. 7. What services and equipment are available for your company? Even if you have your own staff, is technical support available if you need it? What level engineer will assist when you call the Network Operations Center (NOC)? Will they be available 24x7x365? Will a technician come on site at any given time? What are the fees – keep in mind that skilled labor will also mean a higher charge. 8. Are there any SLA guarantees? SLA (Service Level Agreement) guarantees are important, especially if a minute of downtime will cost you business sales. In some cases, you need to consider whether the provider offers network SLA as well as power SLA. 9. Do they provide any compliance certificates? If your business needs compliance certifications, ask whether the colocation provider has relevant documents. For example, an SOC 2 report evaluates the information system’s security, availability, confidentiality or privacy of an organization.